Korean Poet Choi Jeongrye employes a simple poetic language, she chooses plain words and only to render them unfamiliar and strange. She often writes about time and memory, and a deep sense of loneliness emerges from her work. Her poems appeared in Free Verse, Iowa Review, Text Journal, World Literature Today, Panorama and various Japanese literary magazines. An English-language collection, Instances (which she co-translated with Wayne de Fremery and Brenda Hillman) has been published in Parlorpress. 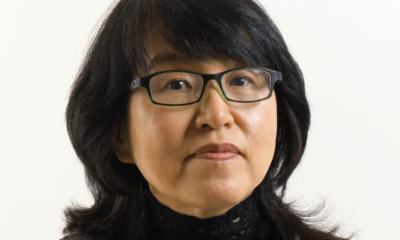 She is currently teaching as a lecturer at Korea University and was nominated for the Pushcart Prize in 2018. Our guest translator at this workshop will be Mattho Mandersloot is a translator from Amsterdam. He studied Classics at King’s College London and went on to complete the MA Translation at SOAS as a Master’s Scholar, focussing on Korean literature. Currently based in Oxford, he is looking into the poetics of Korean onomatopoeia in translation as part of his MSt Korean Studies. Earlier this year he won the inaugural World Literature Today Translation Prize. "A great space to connect with others."